So on 12th January 2014. 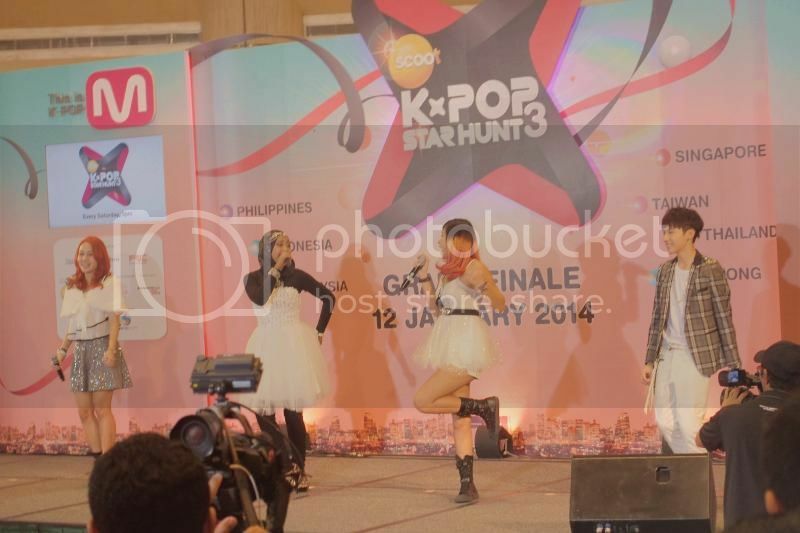 It was the grand final of Scoot, Kpop Starhunt Season 3. I was rooting for Stephanie cuz I really find that she has the whole package, what's more, she's representing Singapore leh! How to not support her?!!! 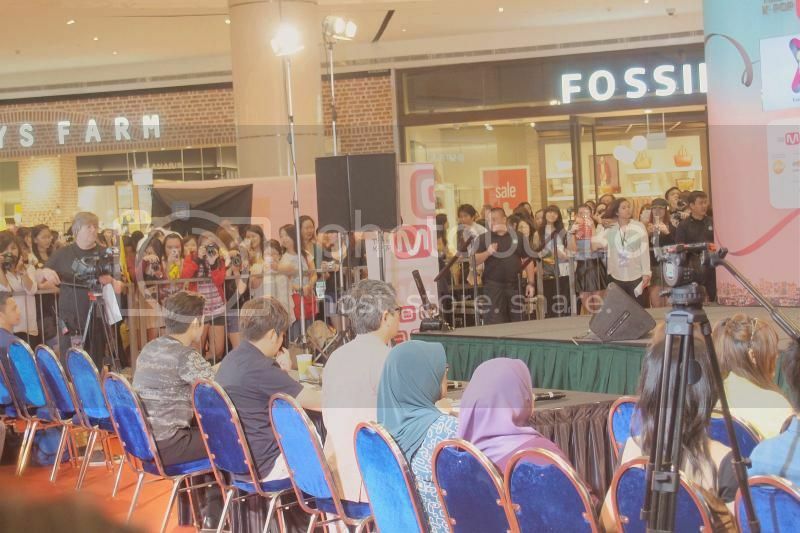 Then I was still in the midst of whether should I head down all the way to Suntec City to watch the grand finale and to find out who will be crowned as Kpop Starhunt 3's winner. So, I scrolled through my twitter timeline and saw Zachary tweeting that he's going down to Suntec to see Jaejin from FT Island as he will be one of the judges there, so I ask if he mind me joining him, and VOILA! 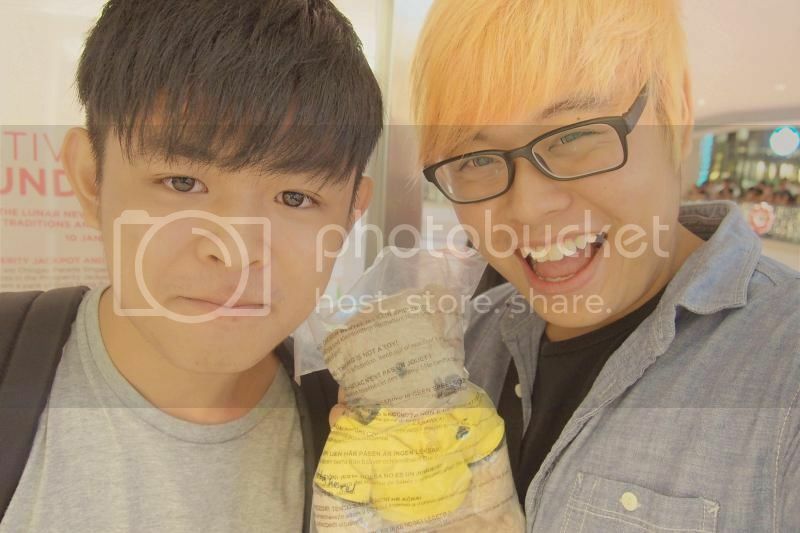 I ended up going to Suntec City with Zach. I'm actually quite surprised at myself, cuz I'm not really a huge Kpop fan, and.... I rarely head down for some competition that doesn't really concern me. But yea, I did. 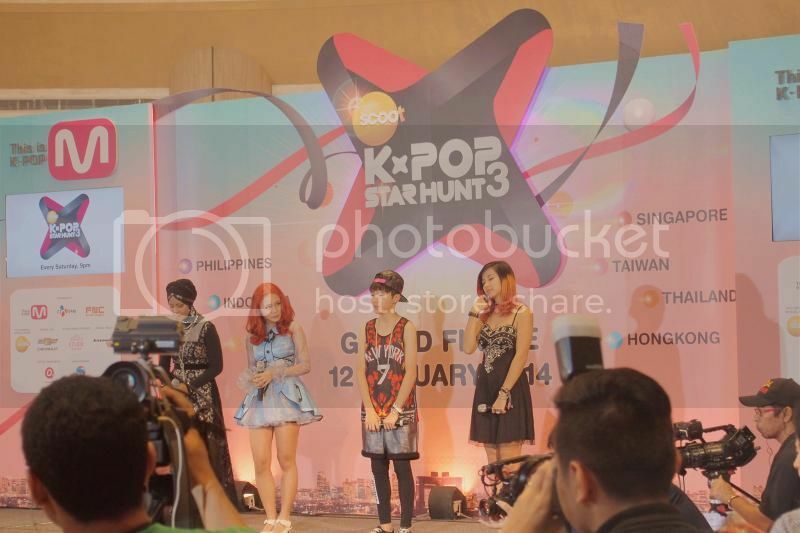 The top 4 had 2 missions on that day, they had to perform 2 solo performance and then the judges will then decide who will be crowned as KPSH3's grand winner. That explains the different outfits you see from the above 2 photos. ALRIGHT! THIS COMES THE AWESOME PART! So in-between they had stage games, and I heard that emcee mention something like there will be a pair of tickets to Seoul, Korea to be won. There were air stewardess tossing 10 scoot teddy bear to random audience and we have to catch it if we want to participate in the stage games. At that point of time I was still hesitating, but when I saw the scoot teddy bear being thrown and coming towards me, I reach out my hand and GRABBED IT! So I went on stage and I had to answer this simple questions in order to move on to the next round, so everyone did answered the questions and we were given the scoot blanket. We were told that inside 1 of the blanket there is 1 envelope, and if you have that envelope, it means you've got the tickets to Seoul, Korea. It was given in random order. When I received mine, I tried touching it and I felt something was inside, on my mind I was thinking, COULD IT BE ME?!!!! SO THE MOMENT OF TRUTH! In just a split second, I'm going to Seoul, Korea!!! I really have to thank Zach for accompanying me to this event. If not for him, I wouldn't even have the chance to play the stage games! 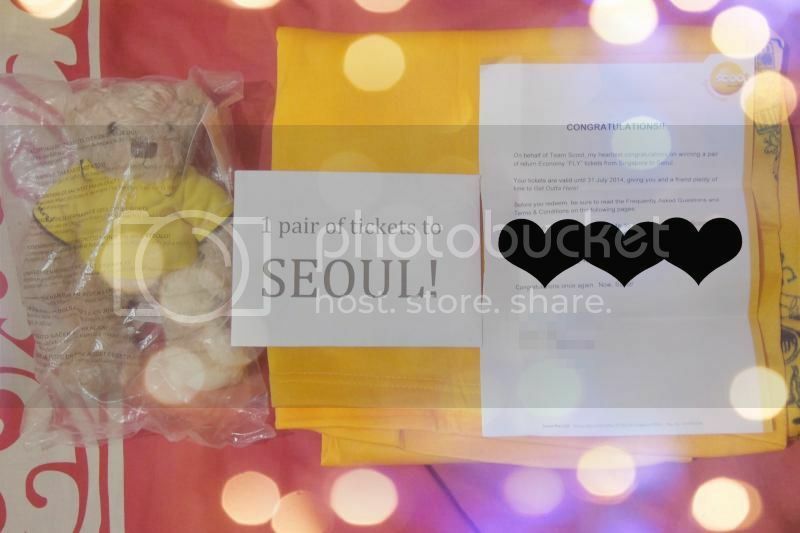 And also, thank you FLYSCOOT for the tickets to Seoul, Korea! Hahaha! My friends all could not believe that I really won this! Hahaha! Some say I was really lucky, my closer friends say that my past life is definitely quite sad, that's why in this current life I'm so lucky. Whatever it is, I think I'm really lucky, and I could feel/sense that 2014 is gonna be a great year, and I look forward to more opportunities! With that, I've already achieved 1 of my new year resolution, which is to travel at least twice this year! Hahahaah! Bangkok and Seoul, IM COMING FOR YOU!! !